AbeDraws: Day 25: Human hands are a good luck charm! 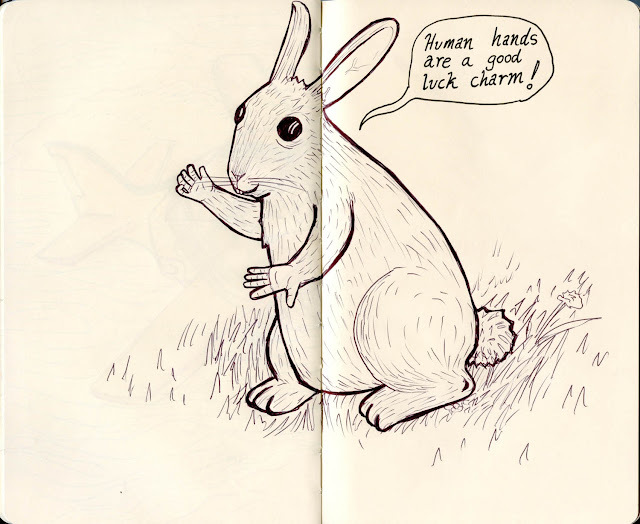 Day 25: Human hands are a good luck charm! Do you get the feeling that Rabbit would strangle you, if only they had thumbs? Me neither. Okay...i just looked that up and it...is...creepy. Wow. Thanks. haha.